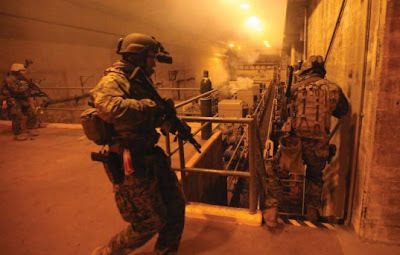 The U.S.’s tier one fighting force is known as United States Special Operations Command (USSOCOM). The purpose of USSOCOM is to “Provide fully capable Special Operations Forces to defend the United States and its interests [and to] Synchronize planning of global operations against terrorist networks.”  USSOCOM is the Special Forces equivalent to the United States Central Command (USCENTCOM), which is the central unified command for the Army, Navy, Air Force, and Marines. Whereas CENTCOM oversees the command for the general enlisted military forces, USSOCOM was specifically created for Special Forces components of the four aforementioned branches of the military. As all of these unified commands are military entities, they fall under the jurisdiction of the Department of Defense. USSOCOM is as unique as it is integral. The President utilizes the Joint Chiefs of Staff (JCS) as an advisory position when it comes to making military policy. Per the synthesis and interactions with the JCS and the intelligence community, the President can then issue a directive for a military operation or covert action. In terms of Special Operations, this is where the connection between policy and engagement proceeds. USSOCOM takes the tier one Special Forces operators from all branches of the military, commanding “all active and reserve Special Operations Forces of all armed forces stationed in the United States.”  USSOCOM is located at the MacDill Air Force Base in Florida. Specifically, USSOCOM is comprised of U.S. Army Special Operations Command (USASOC), Naval Special Warfare Command (NAVSPECWARCOM), Air Force Special Operations Command (AFSOC) and Marine Corps Forces Special Operations Command (MARSOC). With such a breadth of command control, USSOCOM has roughly “57,000 active duty, Reserve and National Guard Soldiers, Sailors, Airmen, Marines and Department of Defense civilians” at its disposal. Given the weight of the responsibility that USSOCOM has been charged with, their importance in U.S. defense cannot be overstated. The Goldwater-Nichols Defense Reorganization Act of 1986 and the subsequent Nunn-Cohen Amendment to the National Defense Authorization Act of 1987 laid the groundwork for the development of USSOCOM. The call for an upgrade to U.S. Special Forces and their capabilities arose from the strategic failures during the Iran Hostage Crisis. In early April of 1980, U.S. President Jimmy Carter authorized Operation Eagle Claw in an attempt to rescue the hostages at the U.S. Embassy in Tehran. The mission was an utter failure and arguably the death knell of the Carter administration. However, the U.S. military would learn from the operation’s failures and implement policy to prevent a recurrence of such failure. 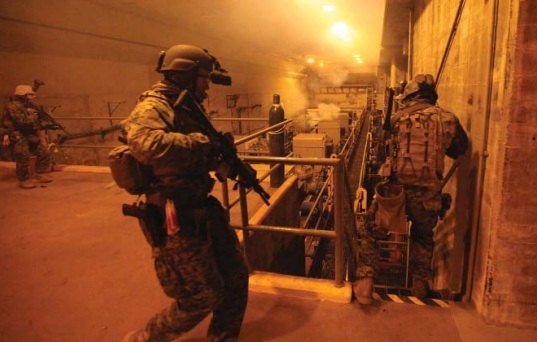 USSOCOM operates on two levels, one passive and one active. USSOCOM constantly pursues the best and emerging technologies to meet their equipment and arms requirements. In doing so, USSOCOM can be ready at a moment’s notice when called to the battlefield. 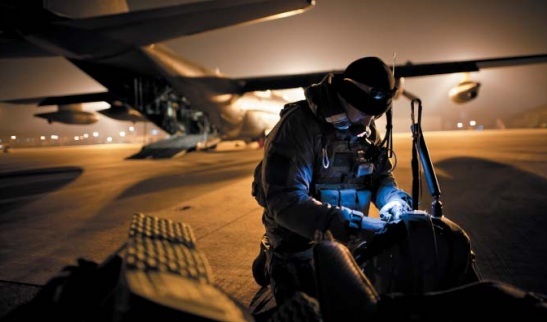 The mission of USSOCOM is to not only have Special Forces at the ready, but to also make sure they have the necessary tools to get the job done. The caliber of the missions assigned to USSOCOM is unparalleled. For instance, their killing of Osama Bin Laden in Pakistan during Operation Neptune Spear required cutting edge technology, highly advanced weaponry, and unrivaled training. It is specifically for this reason that adequate financing needs to be available for USSOCOM. USSOCOM is comprised of a combination of military branches, yet it is not reliant on any of them in regards to finances, appropriations, budgeting, and acquisitions. Representing about 1.5% of the Department of Defense’s annual Budget, "USSOCOM has its own budgetary authorities and responsibilities through a specific Major Force Program (MFP-11) in DOD’s budget." Within USSOCOM there is the Special Operations Research, Development, and Acquisition Center's (SORDAC). SORDAC is the link in the chain between the administration of USSOCOM and the holder of the purse, the U.S. Congress.